For centuries people have marveled over the beauty of plaited basketry; now readers can actually learn the skill and artistry of this craft in the comfort of their own homes. Scholar, artisan, and teacher Vladimir Yarish created all of the birch bark baskets for this book after scouring museums and archeological sites all around the world. 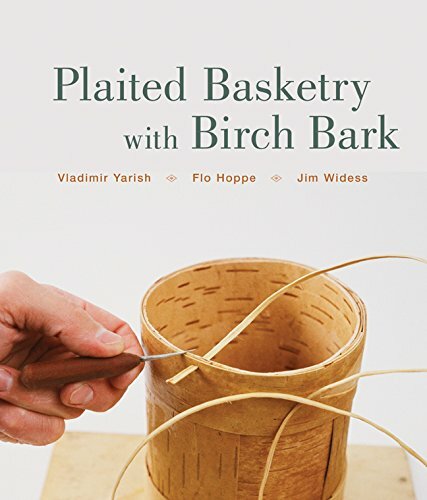 This definitive guide focuses on the history and myriad traditional uses of birch bark, as well as general instructions for basket-making and plaiting. Get hands-on with 18 birch bark projects, both decorative and useful, including a rectangular tray, small basket with three-part braid, or an oval basket with curls. Finally, in the gallery section, take a look at plaited baskets by various artists using contemporary materials. If you have any questions about this product by Brand: Sterling, contact us by completing and submitting the form below. If you are looking for a specif part number, please include it with your message.